﻿ Is there any point in this album existing? Take that with as much facetiousness as deemed necessary, but given how Awolnation are far past their fifteenth minute at this point, the whole exercise seems somewhat pointless. Even if Sail was the sleeper hit to end all sleeper hits, not many people remember the rest of Megalithic Symphony and even fewer remember its full-length follow-up Run. And with Here Come The Runts being welcomed with a hearty shrug as it is, it wouldn’t be too unfair to initially suggest that Aaron Bruno is just treading water at this point. But with Here Come The Runts it’s difficult to say that and really mean it, as Bruno is digging deep into his bag of tricks for this one, and emerging with…something. Presumably this album was made with some sort of purpose, though you’d be hard pressed to find it, as this sees the splatterpaint creative process of an Awolnation album in full swing, with Bruno doing what he wants, when he wants, how he wants with little concern about the end result. And he is so lucky that this album turns out at even a reasonable level, as the fact that Here Come The Runts isn’t a floundering disaster is utterly staggering. That said, Here Come The Runts does appear to have been streamlined to a degree, mostly because, for perhaps the first time on an Awolnation project, it’s at least possible to pluck out something resembling a cogent throughline from what’s going on. It occupies a much clearer indie-rock headspace this time with the low-slung buzz of the guitars having more of a role amongst an electronic canvas that’s used a lot more sparingly, and the myriad of lyrical curves Bruno takes ultimately turning back to himself and his views of his existence in a world that’s constantly moving by, musical or otherwise. This is still just a framework though, and around it, the bloat comes in earnest, be it the terse synth stabs and horns on the opening title track, the bluesy lumber of Seven Sticks Of Dynamite or the squelching beat and symphonic, theatrical reach of Tall, Tall Tale. Easily the most questionable display of Bruno’s creative impulses taking a backseat to reason though, is Sound Witness System, a relentlessly cheesy hip-hop track that might be self-aware to a degree, but neatly skirts around that by just being a terrible idea from the start. As undoubtedly creative as Bruno is as a musician, he struggles to find a way to convey that in a flattering manner, and while Here Come The Runts is probably the strongest Awolnation effort to date at feeling like one cohesive project as opposed to a glorified mixtape, there’s still a whole lot of flab that could do with being cut back on. 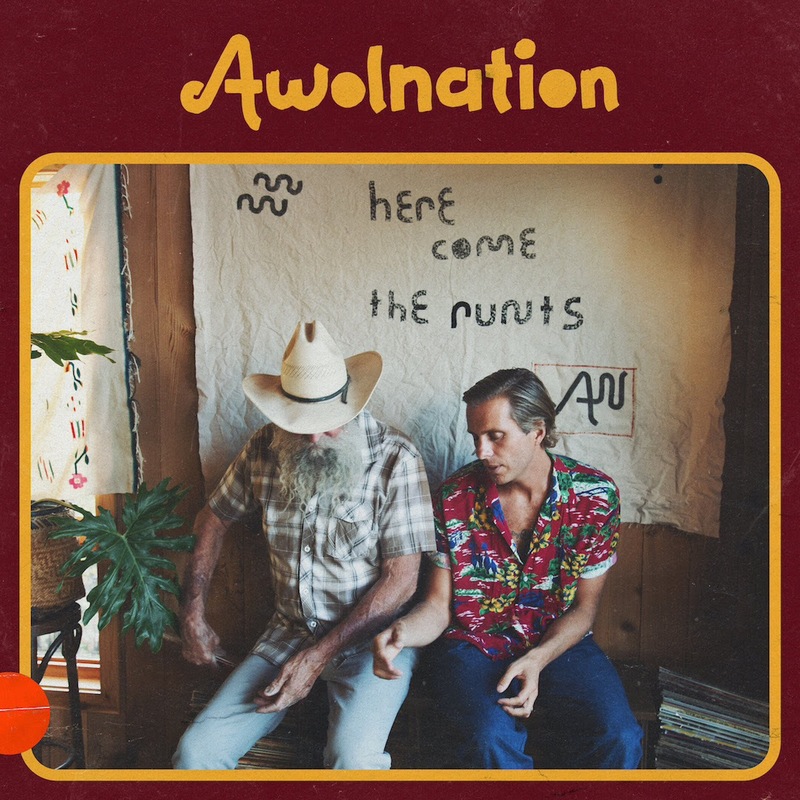 Still, an Awolnation album being even somewhat cohesive is not nothing, and Here Come The Runts manages to channel that for a handful of songs that actually feel focused and fully realised. There’s a thicker, more rustic stomp to tracks like Passion and Miracle Man, and the falsetto-driven Jealous Buffoon even augments its indie-rock structure with slinky soul and blues influences to great effect. It definitely feels as though Bruno has a much clearer vision this time around, even if his output can still fluctuate wildly (just compare the second half to the first where the drop in quality is audible), but Here Come The Runts more often than not works with that than against it. It still stands that Bruno has far too many ideas to cram onto one album as the aforementioned examples attest to, but as tracks like Handyman or the titanic closer Stop That Train show, condensing them into workable packages does have value to it. It still mightn’t be the most conventially appealing listen, and Bruno as an artist is still trying way too hard to pull out all the stops and make Awolnation the colossal behemoth of a project that he clearly wants it to be, but with a repurposing of focus and tightening of sound, Here Come The Runts does seem to be a tiny step in the right direction. As desperately as Bruno is trying to muscle everything into place, better songs and a more distinct, stabilised sound go a long way, and it implies that the greater benefits will be reaped sooner rather than later. It’s still not perfect yet, but for an inside look at how alternative music’s most fascinating catastrophe might finally be shaking off the “catastrophe” tag, look no further than Here Come The Runts. ‘Here Come The Runts’ by Awolnation is out now on Red Bull Records.